When I was a student journalist in the 1970s, we were given a list of 20 books, which, it was suggested gently, everyone should have read by the age of 20. Shamefully, I had read only a handful, so I determined, with the zeal of the auto-didact, to get through every recommended work on the list. I started with Joyce’s Dubliners and the first story I read was Araby. (The exotic title attracted me). It was love at first read, a fitting response since Araby is about first love. But not simply first love, first unrequited love. It’s a simple story – it dares to be simple. The narrator, a young boy, nurses a crush on the older sister of his friend Mangan, but is too tongue-tied to declare it. He decides he will demonstrate his love with a gift. There’s a visiting bazaar in the city – from which the story gets its title – which Mangan’s sister wants to go to but can’t. The boy decides he will go for her and buy her a trinket that will make his feelings clear. But first he has to get a promised florin from his uncle. The well-oiled uncle does not come home till late and by the time our hero gets on the train, florin in hand, it is after 8 pm, and the reader (the older, wiser reader) already knows the expedition is doomed. When he gets to the bazaar, the place is virtually closed, the stalls mostly empty and those few that are still trading have nothing that he wants to buy. His disappointment is palpable. The story ends with one of Joyce’s classic epiphanies. 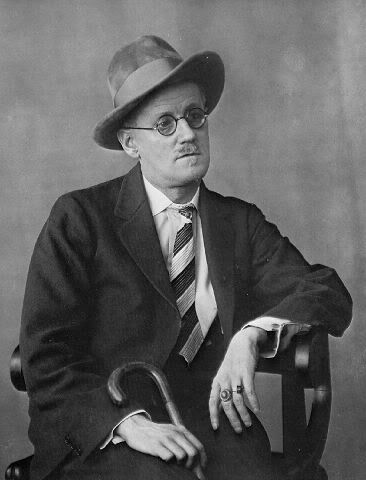 (Joyce described an epiphany as a delicate and evanescent moment, a revelation. But it could also be an error or gesture “by which people betrayed the very things they were most careful to conceal”.) “Gazing up into the darkness I saw myself as a creature driven and derided by vanity; and my eyes burned with anguish and anger.” The voice that finishes the story is an older one, viewing the child through the long lens of time. Or is it that clear-cut? Do we not all know even in the feverish grip of infatuation how ridiculous it makes us? In Araby, Joyce places the reader above the boy in the middle of the deserted bazaar – perhaps gazing down from the gallery described earlier that “girdled” the big hall, but not looking down on him. Araby is a story popular with the young. When I first read it, it was the pain and exaltation of infatuation that I identified with, perhaps because I was a fellow sufferer. Most teenagers are experts in the pangs of unreturned affection and Araby authenticates the experience and its associated mortifications. Unrequited love is love at its most noble. It’s untested, certainly, but it allows us to bestow passionate goodwill on someone who may only be barely aware of us. It expects no reward. It is both gloriously selfless and, paradoxically, totally taken up with self. Joyce captured the delicious pain, the secret shame and cruel paradoxes of unrequited love – how the sufferer longs to declare herself, while also desperately wanting to hide her affliction, to hug it to herself because it is a tender feeling, too fine for the grubby world. The other discovery I made reading Araby was to see my own city being mirrored back at me. “We walked through the flaring streets, jostled by drunken men and bargaining women, amid the curses of labourers, the shrill litanies of shop-boys who stood on guard by the barrels of pigs’ cheeks, the nasal chanting of street singers. . .” In my mind’s eye I pictured Moore Street of my own time, or imagined Henry Street the week before Christmas, and realised how close our Dublins were. The traces of the Edwardian city were much closer to the surface in the 1970s, but even if they hadn’t been, the city Joyce spent his whole writing life trying to recreate in exile, was right there in Araby – the dismal streets, the brown houses, the dark dripping gardens, the empty gloomy rooms, the shuttered lives. When I came to write about Dublin in that era in “The Rising of Bella Casey”, my novel due out with Brandon Press later this month, it was to those memories I returned – as well, of course, as drawing on the atmosphere Joyce rendered so beautifully in “Dubliners”. Prev What do our photographs say about us? Next The Irish Hilary Mantel? This makes me want to pick up Dubliners again and immerse myself. But really looking forward to reading your own rendering of Dublin and the Casey clan in your forthcoming book. Thanks, Laura – in fact, it was your post on heroic Flora Sandes that prompted me to return to my neglected blog! And right you are, Mary, to return to Dubliners, to my mind JAJ’s true masterpiece. I have never shaken the impression he was a very great short story writer who also tried his luck with a couple of decent volumes of slim verse, a rather poor Ibsenist play, and some disastrous experimental novels than which a few of the parts are hugely greater than the whole. Good luck with the upcoming launch.